Get thrifty with some of Madison’s best deals! Search by category, date or keyword and take advantage of offers from area restaurants, attractions, and lodging partners. Interested in submitting your own special offer? 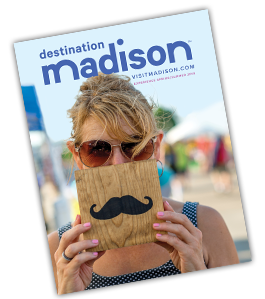 Check out if partnership with Destination Madison is right for you. If you’re already a partner, please submit your offer through our Partner Extranet.